Personality: Outgoing, adventurous, kind of like the typical "surfer dude". Description: Short, sandy blond hair, light blue eyes. Muscular, and quite attractive. Wears a light blue t-shirt and shorts. - Short sword. 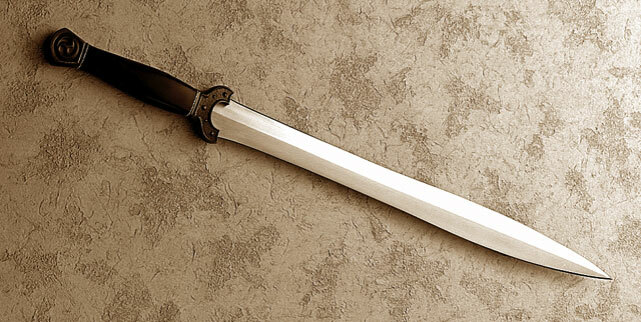 It looks similar to this picture: [http://wiki.cantr.net/images/4/42/Steel_short_sword.jpg], except the hilt looks more like it's made of wood, and there's a hole at the bottom. There is a ring - with shark teeth attached to it - through the hole.